I received this delicacy in form of a black variety of the Chanterelle mushroom from my aunt and mom who has been roaming the woods this autumn. My freezer is now well stocked with golden Chanterelles, and my kitchen cupboard is filled with jars of dried small brown Chanterelles. They will come in handy this Christmas and during winter to spruce up any old stew or even to create a sumptuous risotto. Anyhow, I’ve never tried the black variety and I read up about them on Wikipedia. Apparently they are also called: black trumpet, trompette de la mort (in French) or trumpet of the dead. 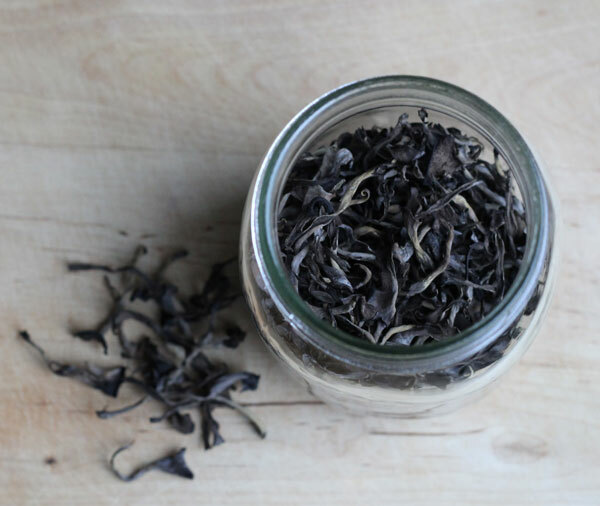 Apparently they have a distinctive flavour that intensifies with drying process and this mushroom share similar flavour notes to black truffles. As I’ve never tasted black truffles, or any truffle, I would not know. But I’m super exited to prepare a dish using this mushroom and promise to share what I find out.